As I said in the previous post, I'll have two challenges for you this month and the first challenge starts today! Here are the details. The theme is pretty easy... "Birthday"! 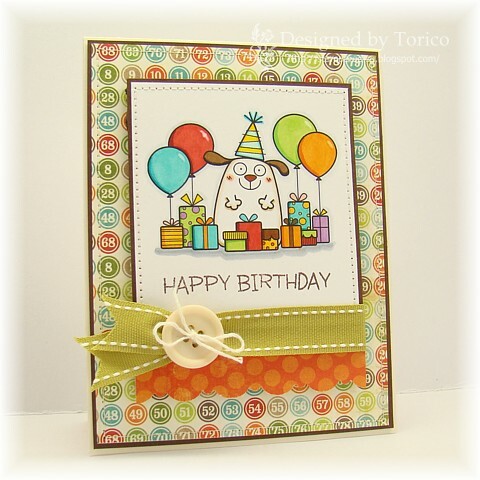 I'd like to see your birthday cards/projects using Birdie Brown's digital stamps! 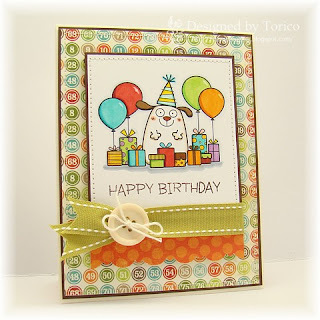 Make a new birthday themed card and/or project using one of the Birdie Brown's digital stamps and upload it to your blog or an online gallery. Then add a direct link to your project in the Inlinkz tool that is located at the bottom of this post. This challenge ends Midnight (EST) Saturday, March 16th. I will randomly choose two lucky winners who will receive their choice of three digital stamps from Birdie Brown. The winners will be announced on Sunday, 17th. Here are some birthday cards I made in the past. Happy 2nd Birthday! I enjoy your designs whether digital or clear stamps. Thanks for all of the inspiration, Torico. I wish I could show you the card I made using one of your digi's. I don't have a blog, so I'm not sure how to get you the picture, since I can't link to anything. I love your ideas, your digi's and card designs. Thanks for sharing. Yea! I figured it out and linked my card. Thank you for pushing me past my limits (on computer-stuff). Love your digital images and excited to play along with your 2nd birthday challenge. Happy Birthday! I love your images! Happy 2nd Birthday Birdie Brown. Well HAPPY HAPPY BIRTHDAY!!! (and many more!) I really enjoy your adorbale images!